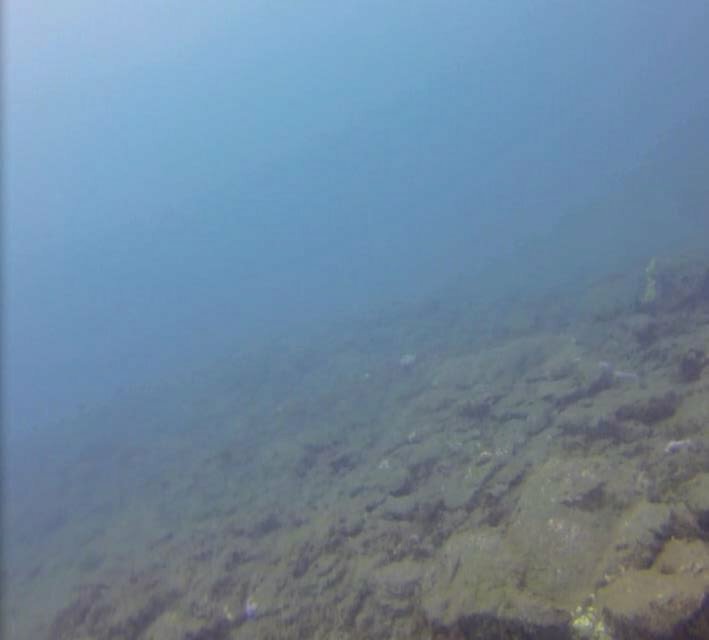 A big part of why we came to the Canary Islands was to dive in the Atlantic Ocean. Prior to that, we’d only done reef dives in Southeast Asia and the Red Sea in Egypt. Ocean dives would be a whole different ball game, I thought. 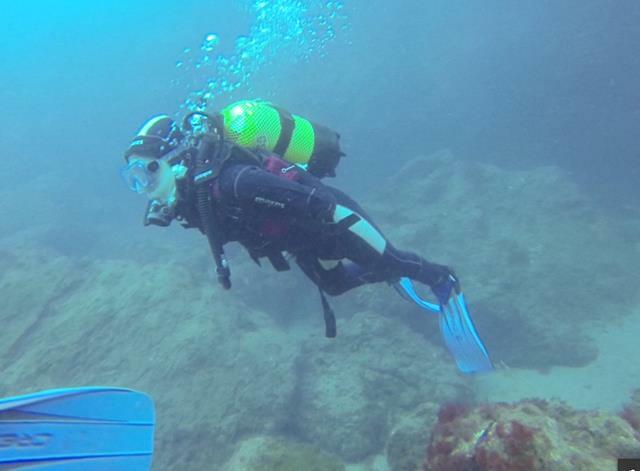 Where to dive in Gran Canaria? We went with Davy Jones Diving in Gran Canaria, because – well, how can one resist a dive shop called Davy Jones?! Based on the glowing reviews at TripAdvisor, it didn’t seem like we were going to end up in his locker. 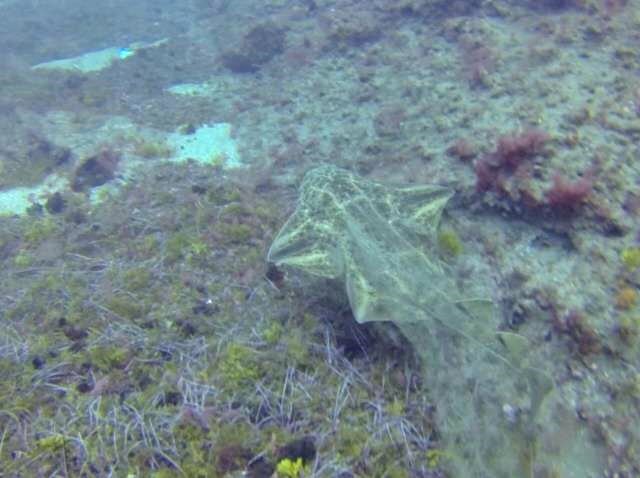 The clincher was the fact that they dive in the “El Cabrón” Marine Reserve (official name: Arinaga Marine Reserve), where you can see the elusive and critically endangered angelshark. They are named thus because of their large, wing-like pectoral fins, and are often mistaken for rays for this reason. At first, the dive shop felt unexpectedly chaotic and disorganised, but I later saw that there was a method to the madness. Our divemaster, Eduardo, got us fitted out with all our gear and we were off to the races El Cabrón. 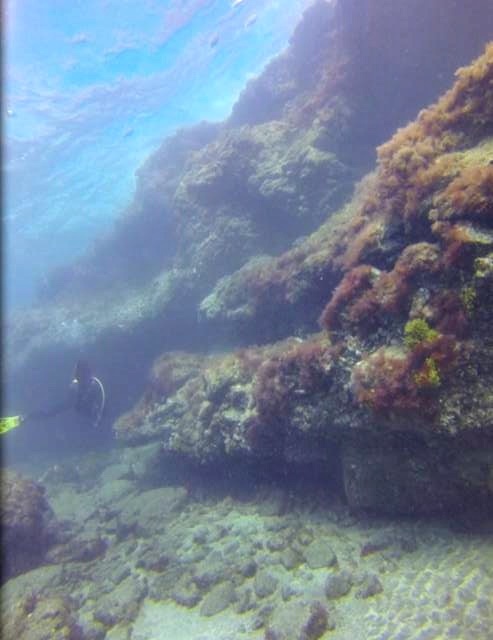 It’s my fault for not doing adequate research, but I was taken aback when I realised these were shore dives – and unlike my previous shore dives (in Egypt), which involved wading into calm waters and snorkelling out to a suitable depth, the shoreline here was steep and rocky. At first glance, I wasn’t even sure how we could climb down the rocks with heavy diving gear strapped on! Well, it can be done – with great care. The waves were quite strong at the entry and exit points so the divemasters had to put our fins on for us in the water. They also had to help us remove the fins and (in my case) stand up when exiting. I felt like a giant, useless baby. My air consumption was significantly higher than normal, probably because entry and exit made me really nervous. 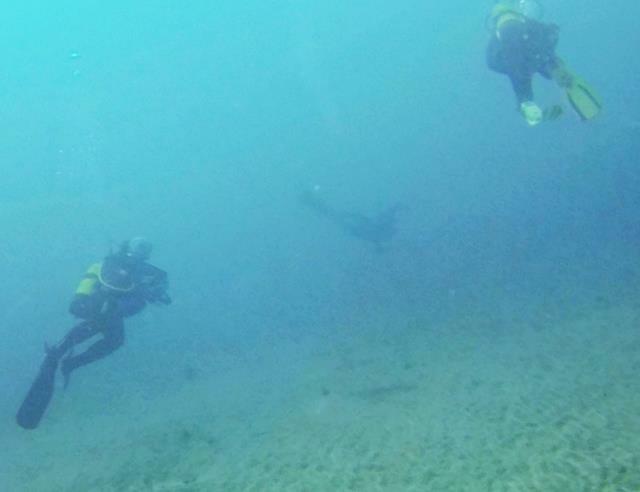 The good news: the rest of the dive is a breeze! Plus, I now have greater confidence in my rock-navigating ability. 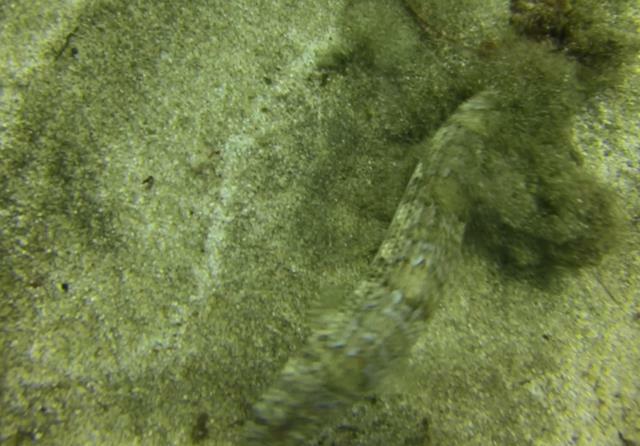 That said, we did see some interesting fish! If you’ve ever seen one in motion, you’ll know how strange and otherworldly these creatures are. We even saw two of them fighting! They were surprisingly ferocious. A big one attacked a smaller one which happened to be swimming by. 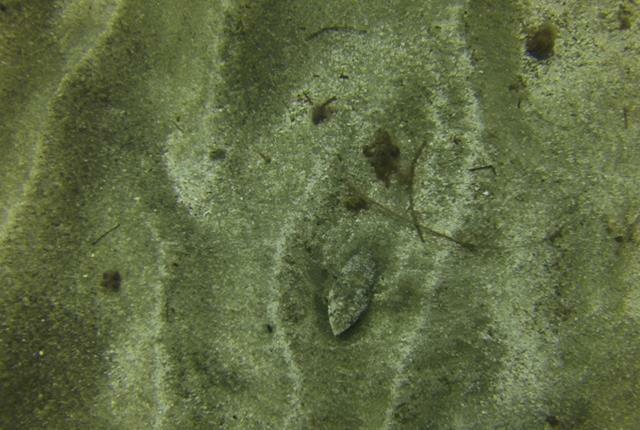 There was a third cuttlefish hidden nearby, so it may have been guarding eggs. Do you remember Flounder, Ariel’s best friend from the Disney movie The Little Mermaid? Well, he’s actually not a flounder, despite his name. He’s simply described as a tropical fish. These are flounders! They’re masters of camouflage so it’s always a minor victory to spot one. These are also, unsurprisingly, great at camouflage. Can you spot them below? 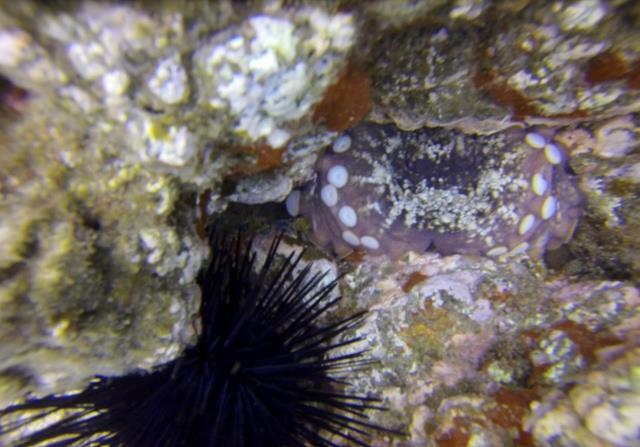 They were all generally curled up in a crevice, but we happened upon a small one that was out in the open. The minute it saw us, it fled to the nearest hole and curled up tightly. 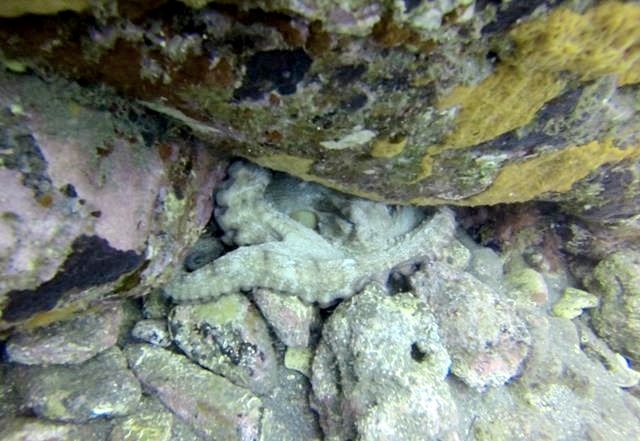 One of the other divers, who had a large camera with flash, went really close and proceeded to practically blind the poor octopus with the camera flash. This caused it to curl up tighter and retreat even deeper into the hole, until you could barely see it. This treatment of the octopus, along with the sentience it displayed, really haunted me. Is it okay to traumatise animals in this manner, for the sake of a good shot? 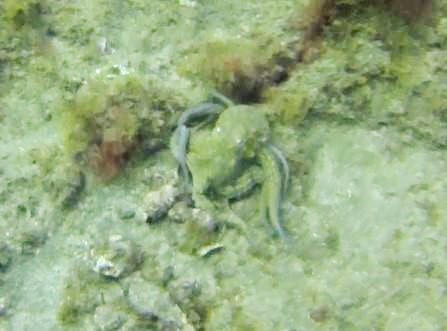 Would octopuses learn to stay far away from divers, such that future divers never see what these incredible animals look like in motion? Conversely, would they learn to become really aggressive when they see divers and cameras? 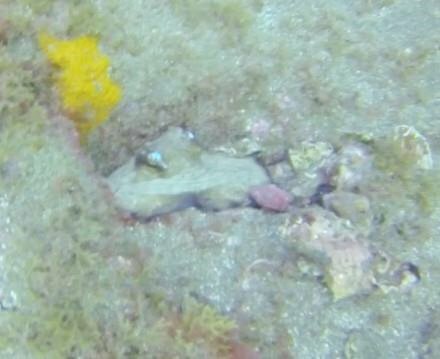 When we catch and kill them for food, are they found cowering in a crevice just like this one? 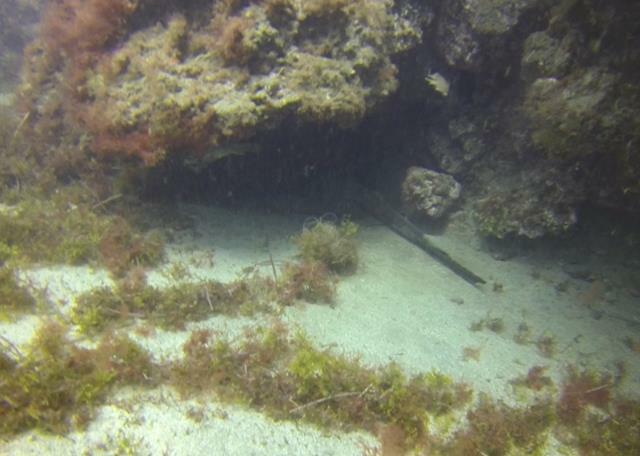 This guy did the same thing to a moray eel, which also retreated into its hole. I’m not particularly fond of morays and the guy seemed nice enough, but I really wish people would be more respectful of wildlife, especially when they’re just minding their own business and not threatening us. On a more cheery note, there were plenty of my favourite fish around! This was the highlight of our trip, by far! Although the Canary Islands is one of the few places where it’s possible to see this critically endangered shark, it was the wrong season (they’re more common in winter), making this even more exciting. 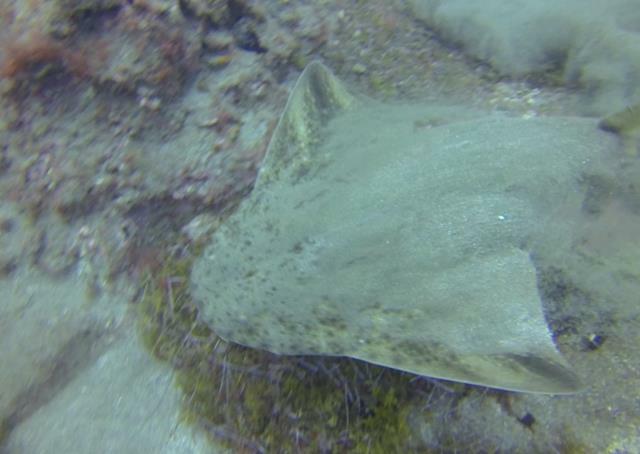 Angelsharks are difficult to spot as they like to lie motionless on the sea floor, buried under a layer of sand. During the second day of diving, our divemaster started excitedly signaling “shark” while gesturing at what looked to be a patch of sand. 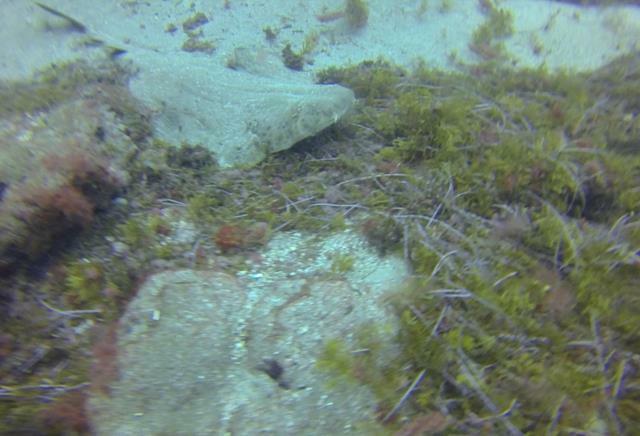 It took a while for me to see the angelshark, who was lying completely still! 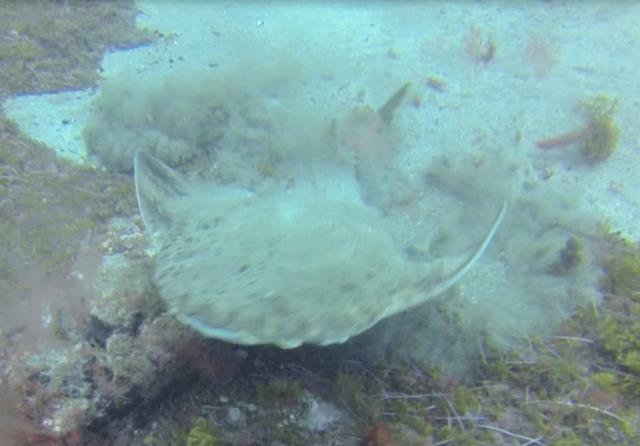 As more divers gathered around, the angelshark eventually got fed up and decided it was time to move on. 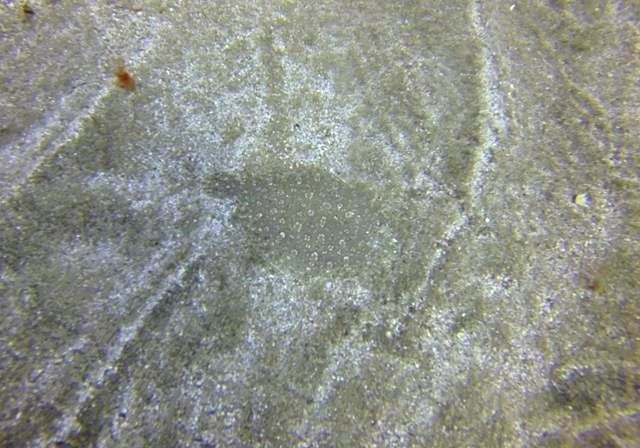 You could feel the excitement rippling from everyone as it rose from the sea floor, shaking off the sand, and swam away. 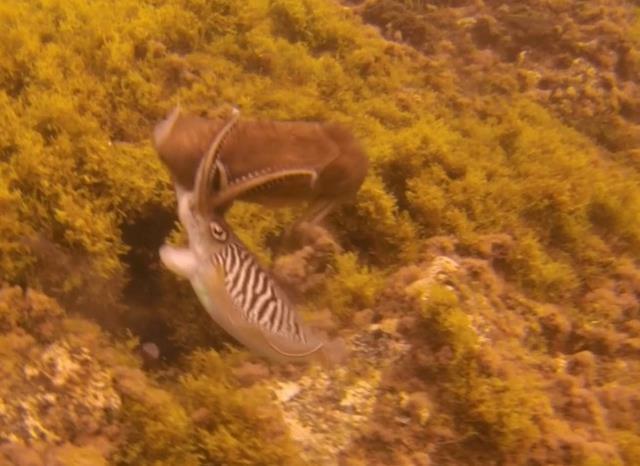 And in the space of a few seconds, coming to Gran Canaria to dive was suddenly and completely justified. Everything else was a bonus. 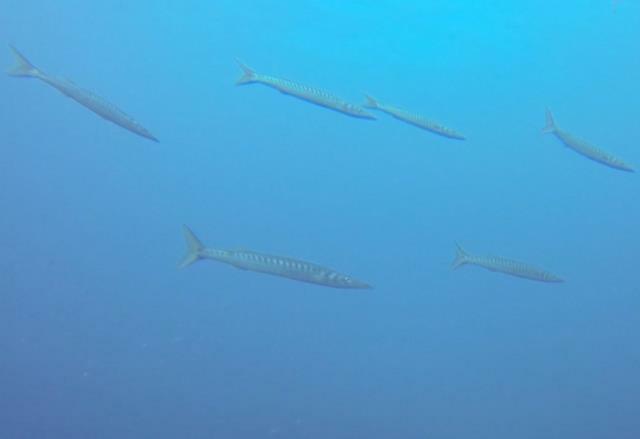 A school of yellowtail barracuda – always exciting! 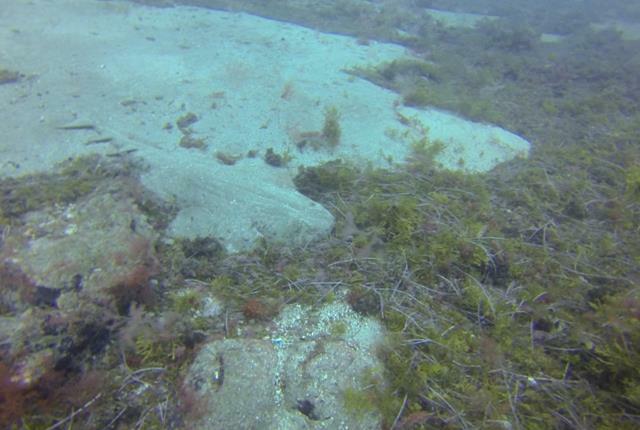 Two goatfish digging industriously at the edge of this random circle in the sand – some kind of nesting behaviour? Let’s play spot the gobi! The water was about 24 degrees Celsius, which to me means a 5mm wetsuit and hood (I’m weak that way). That in turn meant significantly more weights on my weight belt- in Malaysia and Thailand I carried 4kg; here I carried 8kg. I was really heavily laden! Thankfully, I only got some minor scratches from slipping on the rocks once. Visibility was about 10-15m, not fantastic, but it could have been because of the heavy rains that entire week. Tip: remember to use reef-safe sunscreen! Nonetheless, I don’t regret this trip one bit. That angelshark made everything worth it! 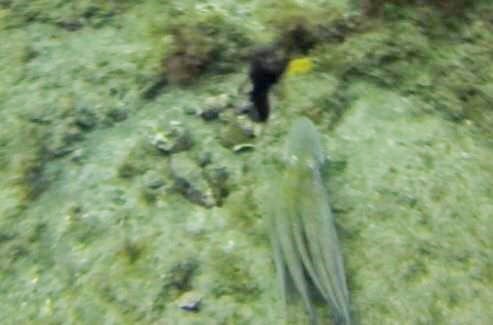 And seeing all those octopuses, especially the one that fled from us, just removed all desire to eat them ever again. I personally like to keep a respectful distance when it comes to wildlife, but I know it makes for lousy photographs. How do you balance respect for wildlife and getting a good photograph? Yeah, there’s nothing quite like seeing the underwater world for yourself! My pictures really don’t do it justice. I totally encourage you to give it a try 🙂 Thanks for stopping by! Interesting conversation, great photo versus bothering animals. I don’t know the answer. I’d love to learn to scuba and see that underwater world! Wow! You saw a lot of different animals. That is cool. If I were into scuba diving, I will be interested in doing it in every continent. I don’t dive but I love to snorkel. There is nothing quite like it in the world when it is just you, the fish and the silence of the ocean. Very beautiful place for diving, Michelle, although not as clear as the waters of the Pacific. 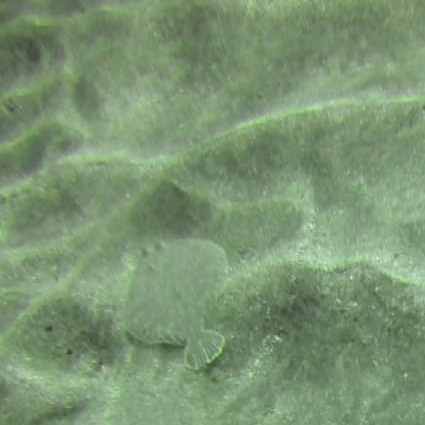 I am surprised you saw Cuttlefish there. 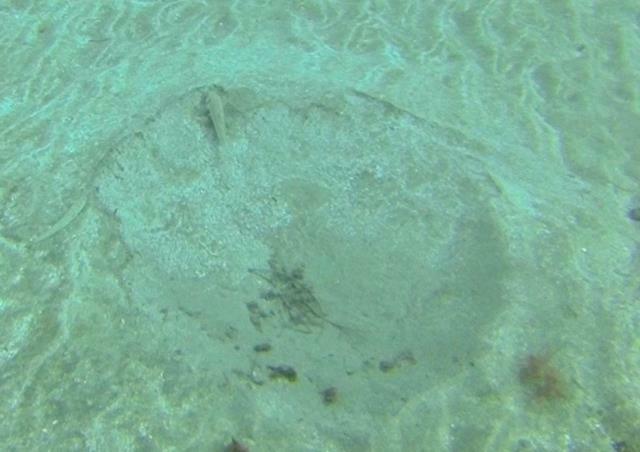 My husband and my son dive and they saw it in New Caledonia, but nowhere else. They said it’s an adorable creature who changes colors like a Chameleon. Beautiful pictures. 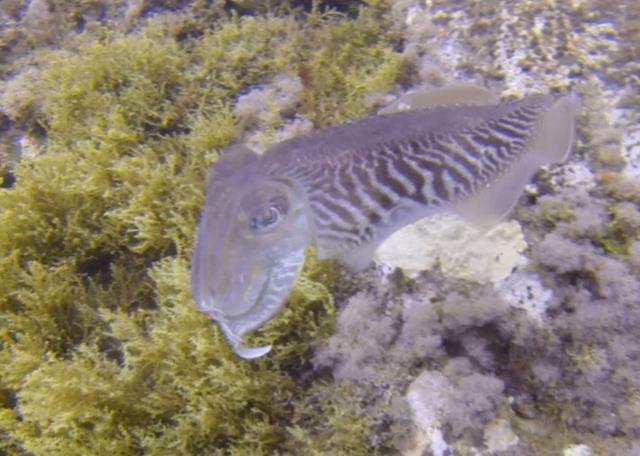 I’ve actually seen cuttlefish in Thailand and Malaysia too, but not in Fiji (which is relatively near New Caledonia, I guess)! Glad that your husband and son have seen it too! It looks like an alien to me haha. Thanks for stopping by, Anda! Thanks for sharing this on #TheWeeklyPostcard. I’m with you on not eating those cute little octopi. Actually, I no longer eat any invertebrates, including shellfish. Google it and you’ll see why. Ew! Anyway, your story about needing help to stand at the end of the shore dive made me feel so much better. I had a similar experience on a shore dive in Bali and I felt like a weakling. 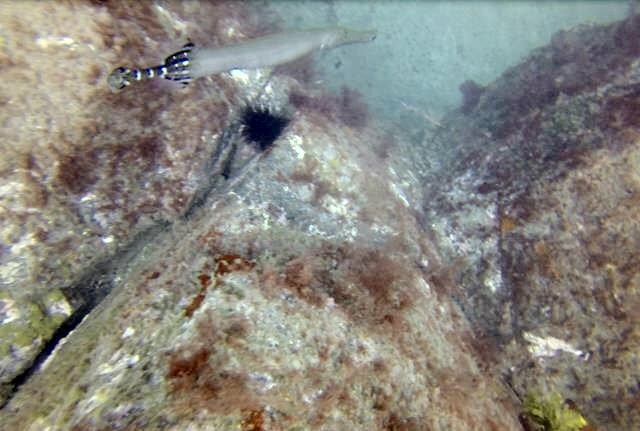 It was a memorable dive for me as well, because I was able to see garden eels in their native habitat. What an enchanting experience that was! Have you seen them? Hey Linda! Yup, I’ve seen garden eels while diving in the Red Sea. They are very memorable indeed! Totally not what you’d picture what you think of an eel, right? It’s always good to know that us “weaklings” aren’t alone 🙂 Thanks for stopping by! Wow you saw a lot! 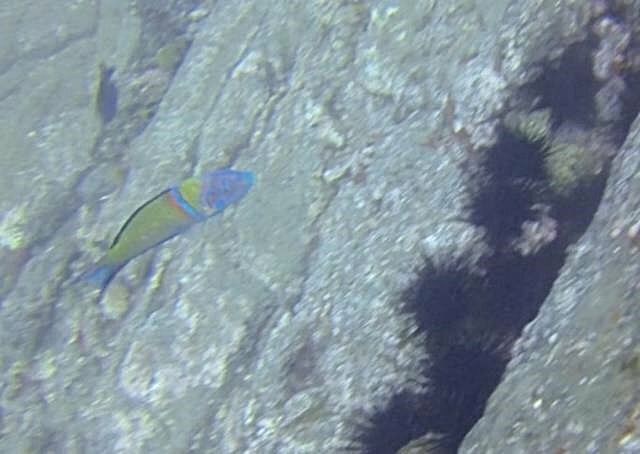 I had no idea the diving by the Canary Islands was so good! Hey Anisa, I’d say the diving in Southeast Asia is better, actually – although there are certain species in the Canary Islands that you can’t see in SEA, like the angelshark. Great post! I live in Grancanaria and will be doing my advanced course up to instructor when I reach home. What part of the island is this dive center based? Its a great qualification to have if you like to travel. Although I have been traveling for the past 5 months and have dived some incredible sights with my open water… I will check it out thanks Michelle! !